In the Disassembly view, routine names are now shown as headlines that do not scroll out of view as long as a part of the routine is still visible. 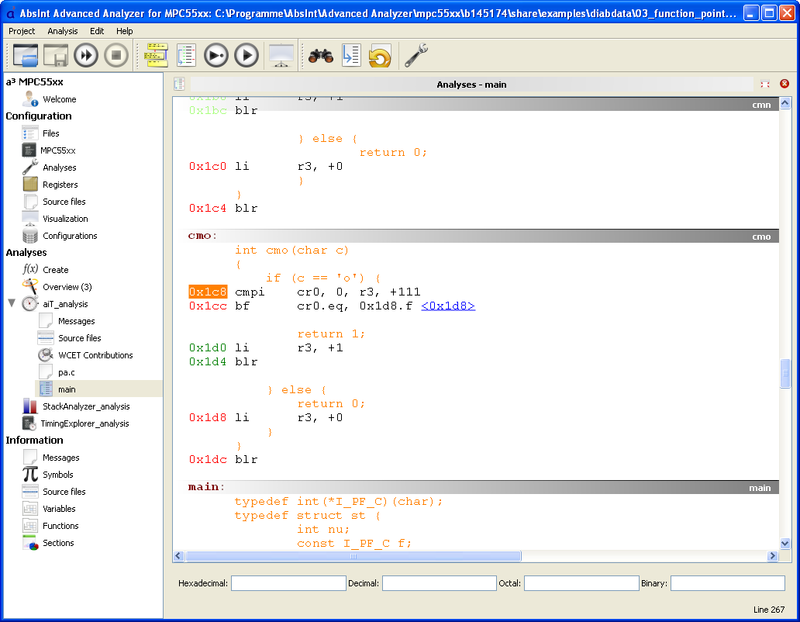 For example, in the above screenshot, it is immediately clear that the upper code snippet belongs to the routine cmn. 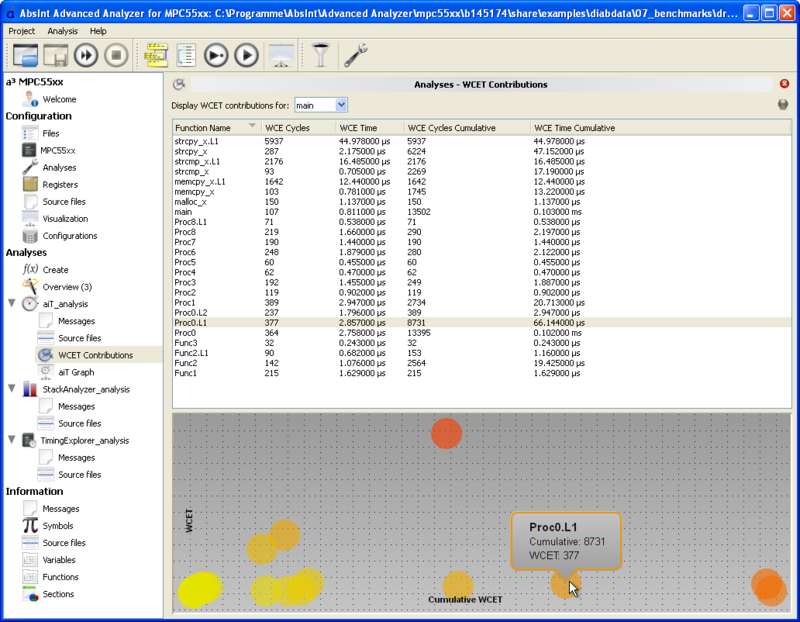 The WCET Contributions view now features a graphical representation of the contributions to the WCET by each function. The functions are represented by colored circles, with darker colors signifying higher WCET contributions. The colors are customizable, providing for full accessibility on uncalibrated monitors or for color-blind users. 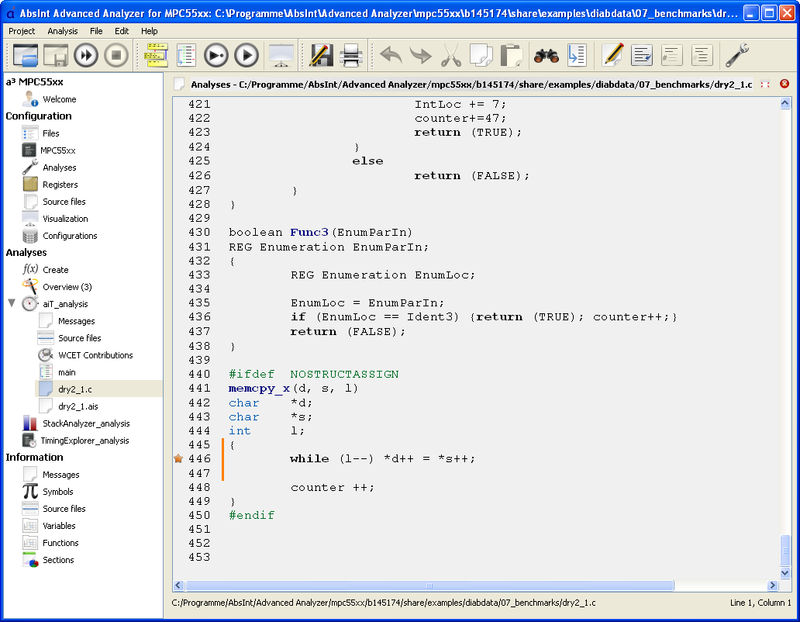 Hovering the mouse pointer over a function displays its name and WCET contribution in cycles. Clicking on a function highlights it in the table over the graph. The higher a function is placed in the graph, the more it contributes to the overall WCET. At the same time, the farther a function is placed to the right, the more it contributes to the WCET if all functions that are called from it are taken into account (“cumulative WCET”). Thus, for example, main or init is usually the rightmost circle in the graph, but not necessarily the uppermost one. 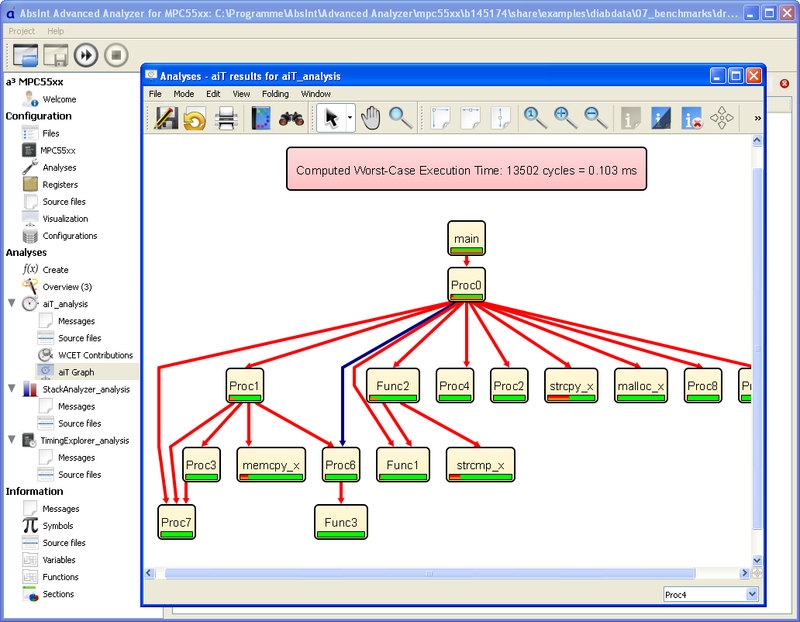 Searching call graphs and control flow graphs has been greatly improved. Searches now return all occurrences of the search string in the graph, including node titles, labels, and even additional information windows. The search results are neatly sorted by categories. Clicking on a particular result will take you to the corresponding place in the graph, while double-clicking will also automatically unfold subgraphs when needed. To access the search, simply press Ctrl + F when in the Graph view. The “Show applied annotation” feature has been improved. 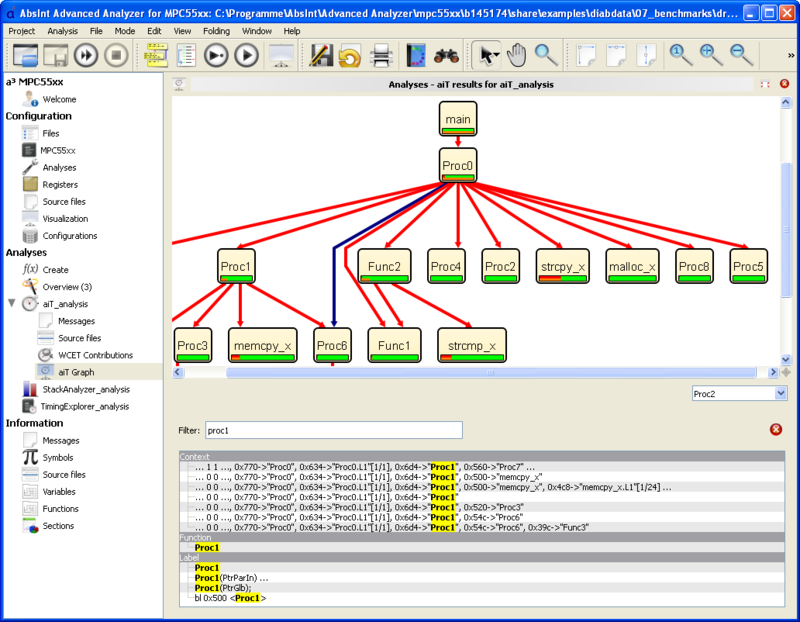 If the same AIS annotation is valid for several subsequent source-code lines, their buttons for jumping to the annotation are combined into a single one. All editor, message, and disassembly views can now be detached from the a³ GUI, i.e. they can be displayed in separate windows of their own. This is done by clicking on the “Detach” button in the upper right corner of the view you wish to detach. Closing a detached view will integrate it back into the main a³ window. Closing the main a³ window will also close any views detached from it.